Discussions Magazine Music Blog: FIREWIND/immortals: Official EPK! 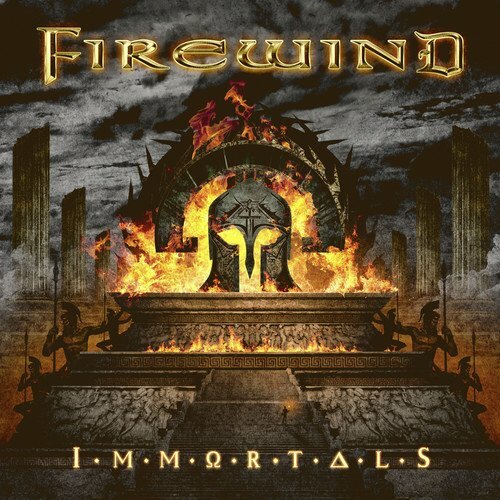 Firewind, the band formed by Greek guitarist Gus G (also known for his work with Ozzy Osbourne), has just released their finest album yet: IMMORTALS. The album features the return of vocalist Henning Basse. The album marks the first time Firewind used an outside co-producer, working with Dennis Ward (Unisonic, Pink Cream 69), who not only engineered, mixed and mastered the album, but also co-wrote it together with Gus G.
Get to know the band, their music and the IMMORTALS album by viewing this EPK!